Has Pep Guardiola Been A Failure At Bayern Munich? 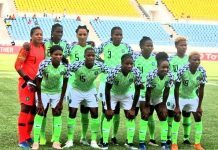 One of the things you notice about football – and society in general – in the modern day is the sensationalism that comes with every single action or inaction. There is never any middle ground; it is either black or white. Every substitution, goal, assist, offside decision is greeted with definitive conclusions in modern football. 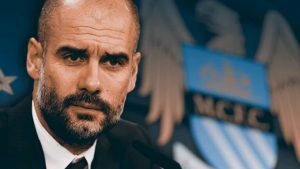 Pep has to deal with the sensationalism in today’s world. As Pep Guardiola celebrates his third straight league title as Bayern boss – one of which was the earliest title in Bundesliga history -, the jury is still out on his time in Munich. This brings the pertinent question; did Pep Guardiola fail in Munich? The answer to that question will largely depend on who you ask. In one corner, there is a section that feels he has done very well to improve on a squad that had achieved all things possible upon his arrival and in another corner, there are people who feel his time at Bayern has been a total and complete failure. Complete Failure!? This is a man who has just guided his team to its third championship in three years, along with three Champions League semi-finals and has a win ratio of over 75% at the club. He has won six trophies (seven if he wins the DFB Pokal final against Dortmund on May 21) at the club including the UEFA Super Cup and Club World Cup in just three years! A whole lot is expected of him. Everyone knows it, not least Pep himself. Despite his admission that the treble is a minimum requirement, not achieving that troubled him although he often tried to deflect away from that. 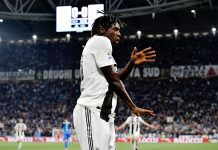 Speaking before the Champions League quarter final game against Juventus, he said ‘My happiness doesn’t depend on winning the Champions League,’ he said. ‘My family is my happiness. There are other things in life. Victories alone don’t make me happy.’ There is the school of thought that Pep was brought in to continue Bayern’s dominance in Europe and not in the League and you cannot deny that fact. This is a club that has completely dominated the Bundesliga since its inception. One who have now won 25 Bundesliga titles. With the Bundesliga being around for 53 years, that translates to just under half of the total amount of championships. So if you look at it from that point of view, Pep’s Bayern needed a Champions League trophy to fulfill the minimum requirement. 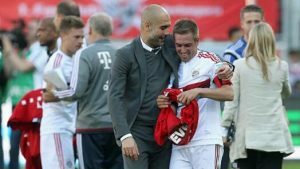 Pep’s history as a winner will always bring high expectations PC: Alexander Hassenstein Of course, the Bayern fans were yearning desperately for another treble. They desperately wanted Guardiola to match Jupp Heynckes immense achievements. But only four managers have managed to deliver that for their respective teams in the last three decades, Pep being one of them with his Barcelona side. The remarkable feat of winning a treble cannot be the yardstick for measuring the success of any manager. It is not an everyday occurrence. Jupp Heynckes treble triumph with Bayern in the 2012-13 season was the club’s first in its illustrious 116 year history. 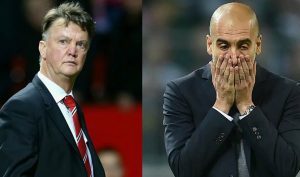 Lines could be drawn that links Pep’s time at Bayern to that of Dutchman Louis Van Gaal. Van Gaal did not quite have the fairytale ending at Bayern but the foundations he laid proved extremely important in the years to come. It was Louis Van Gaal that converted Bastian Schweinsteiger to a central midfielder. He was the one that brought through the likes of Thomas Müller and David Alaba. He adjusted the style of football played by Bayern at the time. Combining the Dutch total possession football with the German efficiency model, he managed to bring success to Bayern in his early days at the club. He helped set the blueprint which Heynckes took on board and ran with. Bastian Schweinsteiger was a major benefactor of Van Gaal’s time in Bayern. Pep is the most coveted manager in football today, the one manager all the top clubs wanted, a manager who commands a yearly salary of about £15million yet not winning the Champions League with Bayern will leave a scar on him. For a man so imbibed in his ideologies and views, it will cut quite deep. It will be a stick to beat him with. As Pep heads to Manchester City for the latest chapter in his illustrious career thus far, the successes (or failures) of Carlo Ancelotti at Bayern will be a pointer to highlight the mark Pep left in Bavaria. Next articleJosé Mourinho: Be careful what you wish for!